Read on for our list of awesome things to do in Beverly Hills - it offers a fabulous glitzy and glam vibe for those who love all things movie-star! See the homes of iconic stars, where they work, play and shop. Visit spooky places where infamous celebrity crimes took place. Shop till you drop in a world famous mall and then relax in some of the most beautiful parks in the world. 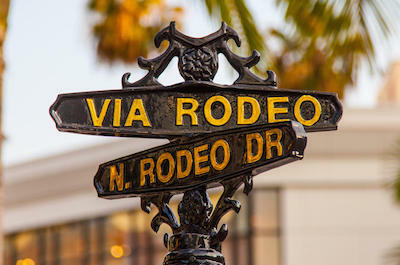 When you arrive, the first thing to do in Beverly Hills is head to Rodeo Drive. This is one of the most famous shopping streets in the world and home to iconic glam and glitzy brand names like like Louis Vuitton, Tiffany, Prada and Cartier. Look out for the massive 40 foot long Beverly Hills sign and a 14 foot silver statue of a female torso by famous sculptor Robert Graham. Spend time and explore the cutting-edge Paley Center for Media, a museum dedicated to the history of television and radio. Apart from luxurious hotels like Regent Beverly Wilshire and Montage Beverly Hills you will find a world class shopping mall called Two Rodeo Drive that will make you weak at the knees. Inspired by luxurious European shopping districts, it has been designed with cobblestone streets, bubbling fountains and romantic archways. Stroll around, shop till you drop and then settle down for a classy meal and a drink, you are sure to spot a celeb or two hiding behind designer sunglasses! 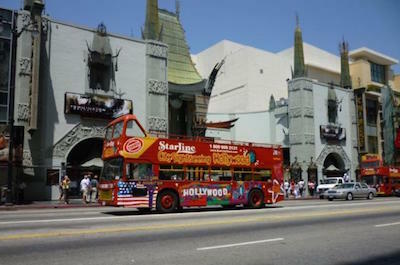 The best way to experience Los Angeles and the next thing to do in Beverly Hills is to take a ride on the Hop-on Hop-off Double Decker Bus. This bus runs 365 days a year and gives you a choice of 24, 48 or 72 hour tickets. There are different routes that pass over 50 famous city highlights, make sure you see them all! You can hop and off as it suits you and spend as much time as you like at a particular venue. The bus has an open top, offering fabulous sunshine and 360 degree views. See famous sights like the Sunset Strip, the famous FarmerÕs Market, the La Brea Tar Pits and The Grove. Cruise past the Universal CityWalk and the Hollywood Bowl. You can also visit the Santa Monica Pier, Westwood, the Venice Boardwalk and UCLA. See the fashion district and Chinatown. 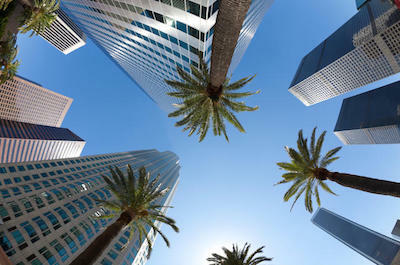 Explore downtown Los Angeles, Little Tokyo and the Walt Disney Concert Hall. If you want more, visit Marina del Rey and the Grand Central Market. Plan your trips, you may need to make more than one to see everything! 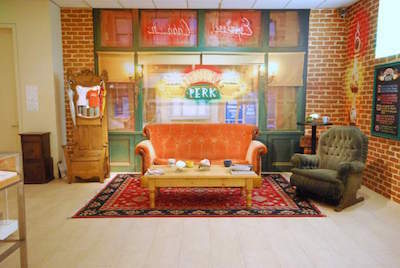 If you love movies and movie stars, this next thing to do in Beverly Hills will thrill you! 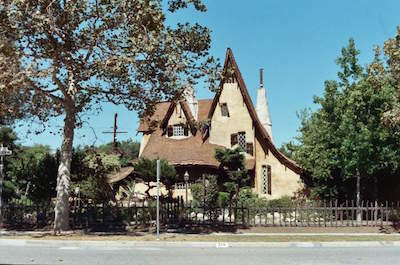 Join the Los Angeles City Tour and Movie Stars' Homes Tour and see where the famous stars live. Relax in a comfortable air-conditioned mini bus and enjoy the sights. Your day starts with narrated tour of Los Angeles, where you will see the famous Hollywood Bowl and the TCL Chinese Theatre. Cruise past Hollywood Boulevard, the Sunset Strip and Beverly Hills, where the movie stars work and play. Stop at Rodeo Drive and splash out on something from Chanel or Gucci, or just window shop! Then stroll around the International Farmer's Market and enjoy some exotic food. Back in the bus, you are off to the secluded hills where the stars live. See the homes of Madonna, Nicholas Cage and Britney Spears. You will also pass by famous estates of Marilyn Monroe, Elvis, Frank Sinatra and more. 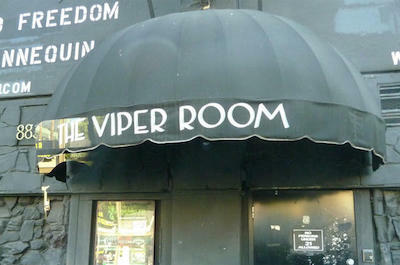 Along the way, you will drive down Sunset Strip where you will be thrilled to see infamous venues like the House of Blues and Johnny Depp's notorious Viper Room. Take a step away from the spotlight and head to dark underworld of Los Angeles, a spine tingling thing to do in Beverly Hills. This fun 2.5 hour tour will have you spooked out when you join the ÔDirector of UndertakingsÕ and set off. Listen to scary stories as you pass the locations where River Phoenix, Bela Lugosi, Michael Jackson and Whitney Houston died. See the gruesome murder sites of Sal Mineo and Bugsy Siegel. Stop at the setting for Sharon TateÕs Ôlast supperÕ. Learn about the scandalous lives of Rihanna and Hugh Grant. You will listen to frantic 911 phone calls and see photos of real crime scenes. Then visit the small cemetery where Farah Fawcett, Natalie Wood, Marilyn Monroe and other icons are laid to rest. Stroll through the lovely gardens and read their poignant epitaphs. Back at the start, you can browse through the Dearly Departed Gallery and see memorabilia related to dead celebrities. How about the tiles from the pool where Brian Jones, the Rolling Stones drummer drowned or the Rolodex of Rock Hudson which has Elizabeth TaylorÕs phone number? A visit to a lavish mansion with a history of suicide and murder is a fun thing to do in Beverly Hills. 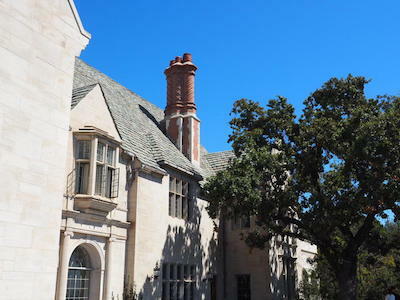 The Greystone Mansion was built in 1928 by the oil tycoon Edward Doheny as a wedding present for his son. This massive home consisted of 55 rooms on a 16 acre Tudor estate. Soon after settling in, the son was shot dead by his best friend who then killed himself. It is said that the ghosts still roam around the property! Scandals, fortunes and intrigue are wrapped up in this fascinating venue. Stroll around and see the living rooms, bedrooms, hidden bar and stunning views of the Los Angeles Basin from the upstairs windows of the south facing rooms. The gardens are beautifully landscaped and will delight nature lovers. This home has been featured in many movies and you will probably recognise a few of the settings! Musical events, vintage automobile shows and other activities take place here on a regular basis. This is a great day outing for the whole family. Calling all fashionistas! The Beverly Centre, located on the edge of West Hollywood and Beverly Hills, is one of the worldÕs most exclusive fashion destinations! Get out your plastic cards and get shopping. This centre offers over 100 speciality boutiques with iconic names like Burberry, Dolce & Gabbana, Fendi, Gucci, Louis Vuitton, Prada and Saint Laurent. There is a massive BloomingdaleÕs and a MacyÕs. With contemporary brands like Sandro and Maje, this is a shoppers dream. Apart from clothing, the centre offers high-end stores for jewelry, furniture, accessories, electronics, luggage, books and more. After shopping up a storm, you can relax at one of the many high-class restaurants. Try the Yardbird Southern Table & Bar, specializing in farm-fresh ingredients, classic Southern cooking, culture and hospitality, by ward winning restaurateur John Kunke. Make a day of it, this is a not-to-be-missed thing to do in Beverly Hills. After a day of hectic shopping and indulging in exotic foods, you probably want to relax and get in touch with nature. This is an easy thing to do in Beverly Hills when you visit the Beverly Gardens Park. This magnificent outdoor Park extends for almost 2 miles across the city. Inside the Park is the famous Beverly Hills Sign, one of the most photographed spots in the City. The illuminated sign is 40 feet long and towers above a huge water feature surrounded by flowers. The Park is also known for the annual Beverly Hills Art Show, attracting over 250 artists, which will delight art lovers. Stroll along the walking paths and visit the Cactus Garden and the stunning Rose Garden. Admire the Wilshire Electric Fountain. There are beautiful sculptures, arches and art pieces dotted around. Take a selfie next to a 100 year old Cyprus and if you are fit, take a jog along the 2 mile jogging path. A great way to rejuvenate your soul in the city center. 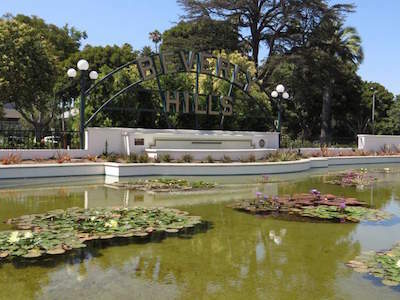 Hiking, strolling, relaxing and soaking up the sun in a magnificent park is a great thing to do in Beverly Hills when you want to get away from the glitz and the glamour. 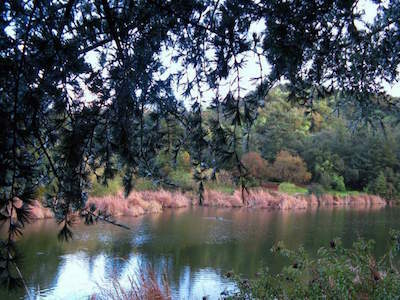 The beautiful Franklin Canyon Park offers 605 acres of grasslands, oak woodlands, stunning picnic grounds and a huge lake. There is a duck pond that will thrill the kids and over 5 miles of hiking trails for those who enjoy outdoor sports. Bird lovers will be delighted to know that the lake is a home to birds in the Pacific flyway, bring along your camera! Inside the Park you can find the Sooky Goldman Nature Center where you can explore the cultural history of the Park and take part in a volunteer-led program. You can also see the the Sam Goldman Amphitheater where regular events are held. This Park is steeped in history, famous oil baron Edward L Doheny and his family would visit here on their summer vacations. Thrill the kids with a visit to a WitchÕs House! This is the next fabulous thing to do in Beverly Hills. Head to the corner of Walden Drive and Carmelita Avenue and you will see a storybook, dilapidated house that will delight! This house has a tall pointy, lopsided roof, spooky tiny windows with wooden shutters, peeling paint and a rickety black picket fence. It is surrounded by an overgrown English-style garden and a mystical moat with an old wooden bridge crossing it. The owner has specifically created weird landscape in the front yard with gnarled, old twisted trees. The house seems to grow out of the ground! Join a tour and explore this famous venue. In the 80Õs, the owners would hold Halloween parties, dress up as ghosts and allow smoke from dry ice waft out of the windows, adding to the scary scene. Today, it makes a fun day outing for the whole family. The Paley Center for Media is about all things TV, broadcasting, radio and internet. It makes a fascinating day outing and is our next recommended thing to do in Beverly Hills. The Museum was founded by William S. Paley in 1975 with a view to creating a discussion around the impact of the media in day to day living. Media professionals can engage in discussions and debates and the public can attend a huge range of amazing exhibitions and shows. Learn about horror movies or the Toons at Noon. See a thought provoking crime drama or have fun at an evening festival. Stroll around the Steven Spielberg Gallery and watch documentaries on how radio and TV started. In the screening rooms you can select to view any TV program or movie you can think of, no matter how old or hard to find. Make your list and get going for a day of fun. Art lovers will be enchanted at the Frederick R. Weisman Art Foundation, a visit here is the next thing to do in Beverly Hills. This amazing venue is dedicated to Frederick R. Weisman, an entrepreneur and art collector. It showcases his vision and his collection of modern and contemporary art. Wesiman was a firm believer in the cultural value of art and the Foundation keeps that vision alive. With over 400 works on display, you need to spend time to explore. See art by Picasso, Cezanne and Kandinsky. There are Surrealist works by Miro, Ernst and Magritte and Pop art by Lichtenstein and Warhol. Local Californian art features works by Ruscha and Goode. The temporary exhibitions change from time to time so you can visit many times and always see something new. The Weisman Foundation estate is located in western Los Angeles in the Holmby Hills. Those with an eye for architecture will love the two story Mediterranean style residence. It was designed in the late 1920s by local architect Gordon B. Kaufman.